A high quality cable is often the missing link in a guitarist's signal chain. VHT's Ultra Instrument Cable has been designed to not get in the way of your instrument's and amplifier's tone. Pairing rugged Neutrik plugs with our specially designed cabling, VHT wraps road worthy durability and sonic transparency into an affordable package. The VHT Ultra Instrument Cable is available in 12' and 18' foot lengths, straight-straight and right angle-straight plug configurations, as well as 3 colors to choose from: red, blue and black. 6” and 12” Patch Cable versions are also available. 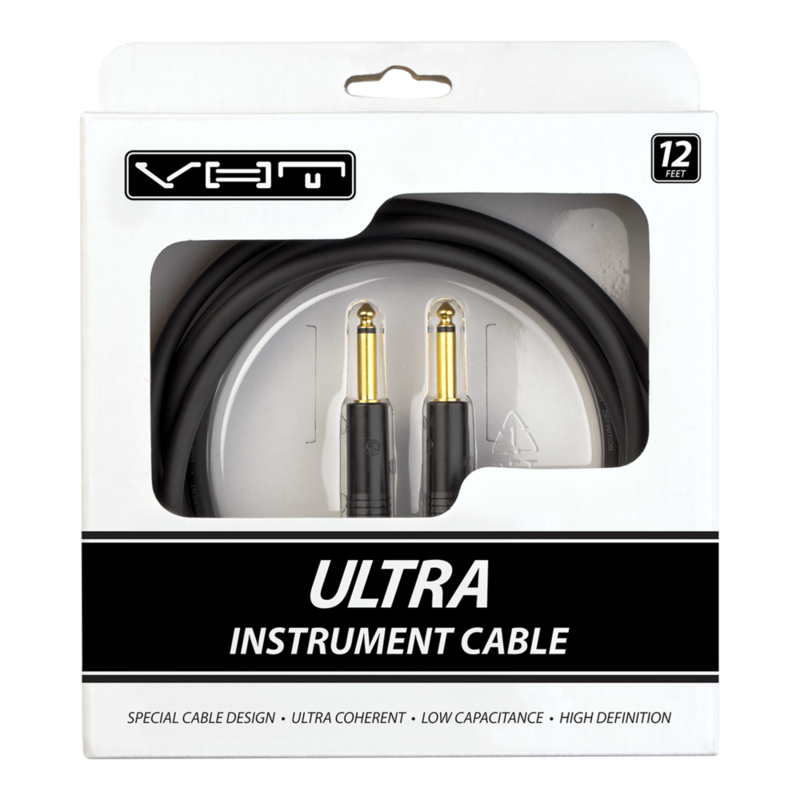 Ready for studio or stage, the VHT Ultra Instrument cables feature an ultra-low capacitance (18pF/ft) design. This low capacitance rating helps deliver the coherency and definition your gear deserves. Rounding out the features of this cable are a flexible outer jacket for easy wrapping and extremely low handling noise.